Holes. Its all they do. But you will be surprised by how many ways holes in the ground are useful. Make short work of miles of fence line, a sturdy new deck or an acreage full of new plants and shrubs. 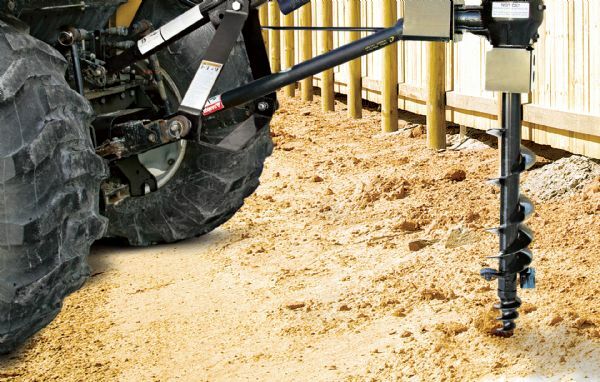 With their heavy-duty, welded construction, rugged gearbox with tapered roller bearing, spring-loaded seals and forged-steel teeth, these posthole diggers won’t back down from tough soil conditions. Add a range of auger bit diameters and you’ve got just the right tool for landscaping, farming or municipal jobs.